With the Instagram phenomenon, phone users everywhere are utilizing their most precious piece of technology as a photography device. Because a phone is so portable and readily available, it’s great to know how to use it to take photos while you’re on the go. Just because your camera is small doesn’t mean you have to sacrifice great photos -- in fact, it’s possible to take great photos with the tiny camera on your phone! There are tons of photo editing apps available for your use, but here are five of my favorites for the budding phone photographer. There’s no doubt that you’ve seen these kinds of photos on Instagram -- super cute, multiple photos all in one with a simple border! 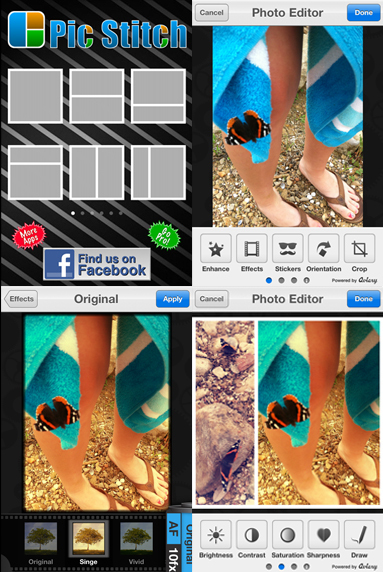 Pic Stitch is one of the best apps around and not just for its multiple photo capabilities. The app also has some very powerful editing features. 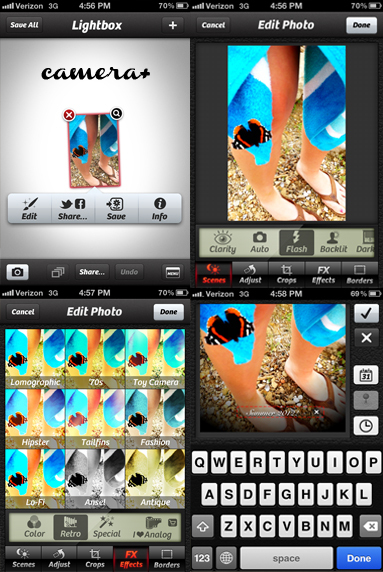 From filters to various basic editing tools, it’s pretty handy. Of course, there also are various templates available to make your photos visually interesting with one another. Even if you don’t use the framing tool, the app is well worth it just for some of the effects. It’s useful for Instagram as well because the final product will be in the neat little square that Instagram uses. Pixlromatic has some of the “sickest” filters I’ve seen in photo apps. There are tons of filters to choose from just among the basic ones. On top of that, there are sets of filters you can download with the “plus” version of the app. Even without the “plus” version, there are enough filters to satisfy your basic photo editing needs. The app also has some really interesting overlays you can add to your photos to give them a nice edge. (I personally like some of the spooky, sci-fi-esque overlays). One of my favorite features, however, is the selection of borders. Aside from the very popular round border, there is a vast array of other interesting borders that really catch the eye. From grunge to girly, they all look amazing. I’m not going to lie -- this app is a recent discovery for me, and I am really excited about it. It’s got some really nice filters available right off the bat, and you can also download more filters that other users have created! Not only that, but you have an option to create your own filter, which lets you adjust various settings, textures and other editing options to create the photo of your dreams. Be warned that it also edits photos into squares -- good for Instagram, but maybe not ideal for other uses. That said, the tool that’s most fun to play around with (in my opinion) is the tilt shift effect. 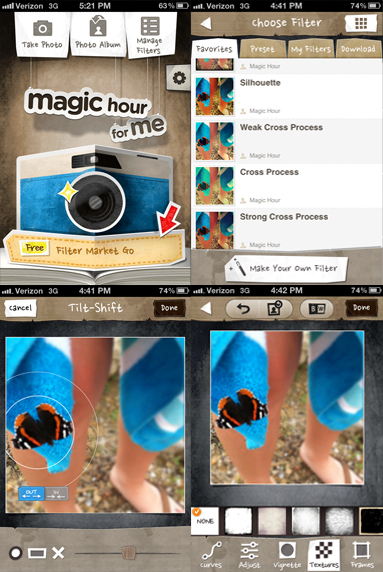 It’s an extremely popular effect, and the app’s tool is super simple to use. It adds that blurred look to everything except what you choose to focus on and gives a great effect to any photo. 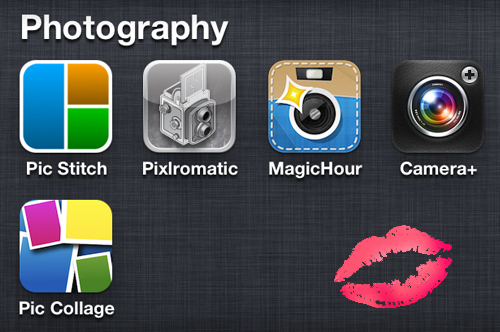 If you’re looking for a little bit of everything you need in an editing app, Camera+ should be your first stop. You can take photos directly from the app, and it hosts such a broad range of features that you may only need one stop to this app for your desired touched-up photo. It has great lighting features that adjust the light in your photo depending on what you’re going for. The filters presented by Camera+ are pretty basic, but very nice and give you a good variety to choose from. There are some borders to choose from and a nice vignette effect that functions a lot better than other apps’ interpretation of this feature, as well as an option to add text. It’s a powerful, little app with quite a bit to offer. 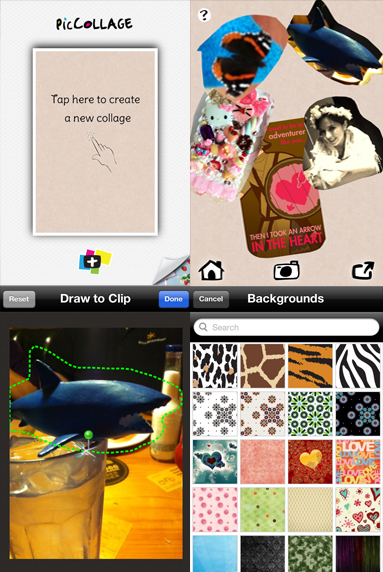 Pic Collage is an extremely adorable app that will easily become an obsession if you download it. You just upload any number of photos you want to use in your collage, and you can use them as is or even crop and cut them! 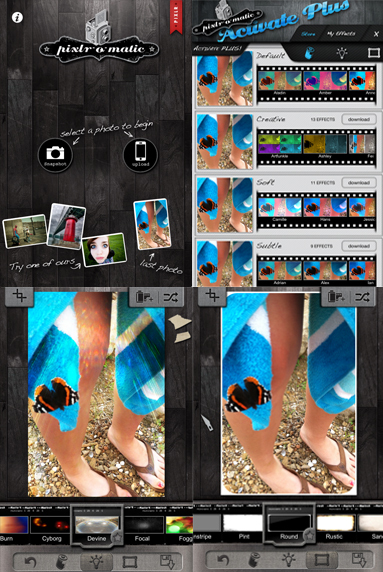 The clipping tool lets you easily cut out the desired area of your photo and create an image with a nice, scrapbooking feel. You can put together some seriously cute collages, and rearranging photos is extremely simple with the photos rotating easily at the tilt of your fingers. Any photo you use can also be set as a background, or you can take your pick from some of the default backgrounds. Some of the other features, like the addition of stickers, is something I probably won’t be using very often, but text is a feature that can easily be integrated into your perfect collage. With so many apps out there and so many different photographic styles to shoot in using phone photography, there’s a little bit of something for everyone. The majority of apps out there are super user-friendly, so the casual photographer shouldn’t be deterred any longer. These apps are a great start, so what are you waiting for? Get to shooting spectacular photos -- all with just your cell phone!